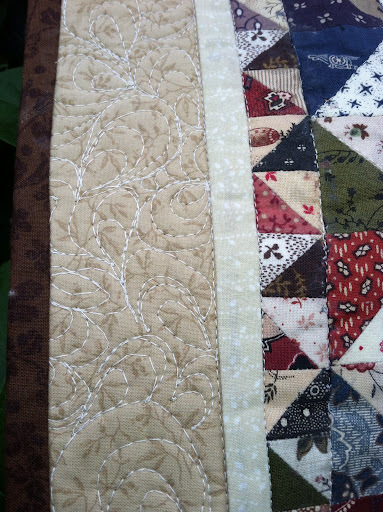 I am very pleased with my progress this week, my 2 mini quilts are all stitched up, FMQ and have the binding on!! 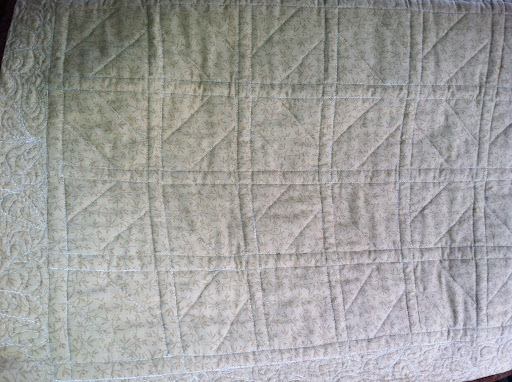 I do need to actually hand stitch it down on the back. I am going to hang them on each side of the TV in the living room. Right now there is big blank spaces that have always needed something. I used neutral and brown for the borders of each to give them some unity and my walls are green so they are going to stand out nicely. 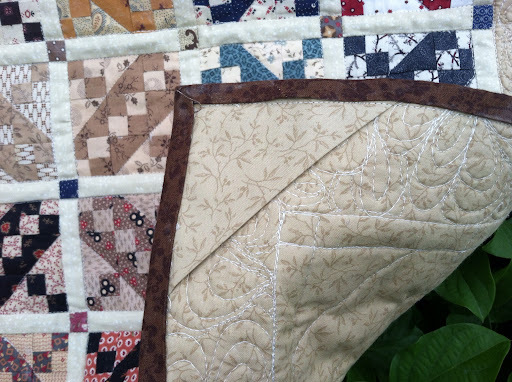 I put corner pockets on all 4 corners so I have hanging options in case it looks better portrait landscape. 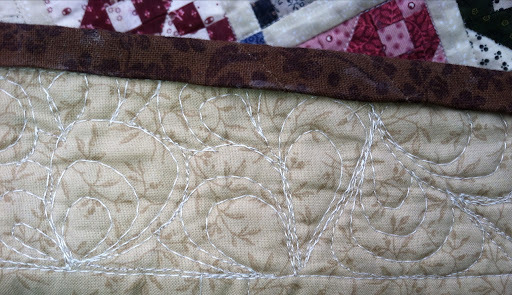 in the borders with Leah Day's Paisley pattern. 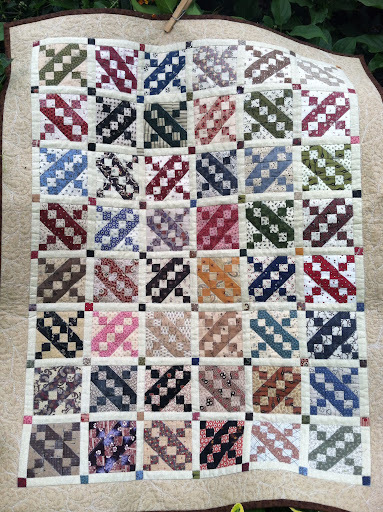 I adore mini quilts. They are beautiful! Nicely done!! 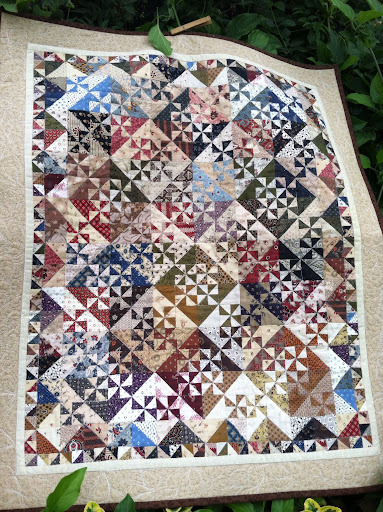 Thank you Pamelyn, I fell in love with the patterns, being mini they still took a long time. Well worth it though. 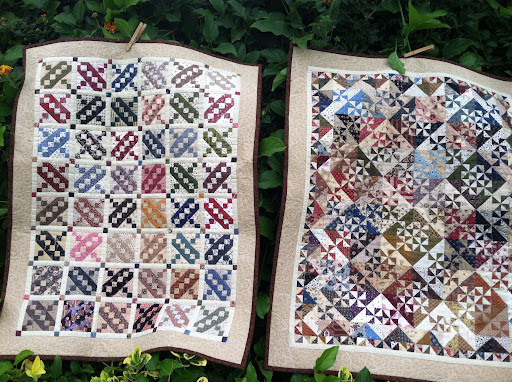 Your mini quilts are lovely! You must have the patience of a saint - all those teeny tiny pieces! I think you did a wonderful job! They are beautiful. I can't believe how tiny the pieces are. Oh my goodness. These are beautiful. I cannot believe how tiny the pieces are. I don't know how you do it! Great finish!